Water Engineering and Management group in the Civil Engineering Department of the University of Twente. 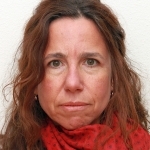 Marcela Brugnach PhD, is an Assistant Professor in the Water Engineering and Management group in the Civil Engineering Department of the University of Twente. She has completed doctoral studies in both Bioresource Engineering and Forest Ecology from Oregon State University (USA, 2003), and a masters degree in Computer Science from Universidad Nacional del Centro (Argentina, 1991). After completing her doctoral education, she became a postdoctoral fellow at the University of California, Davis (USA, 2003-2005), and, later on, a research associate in the Institute for Environmental Systems Research at the University of Osnabrück (Germany, 2005-2009). Dr Brugnach’s research focuses on collective decision making processes in natural resources management. Her expertise includes computer modelling and simulations, participatory processes and decision making under uncertainty. Her research combines quantitative and participatory methods of inquiry and modelling. Over the past years she has been developing concepts and innovative methods to handle uncertainty in collective decision making processes. In September 2009 she joined the University of Twente, and since then she devotes her time to lecturing, supervising students and carrying out research in topics that are concerned with modelling and decision making in water resources management.